QPR win at the City Ground! Repeat: QPR win at the City Ground! AFTER 84 years of hurt, it finally happened! QPR won at the City Ground. Toni Leistner’s header at the end of the first half proved to be the difference between the two sides, ending a run of 34 failed attempts at the home of Nottingham Forest. 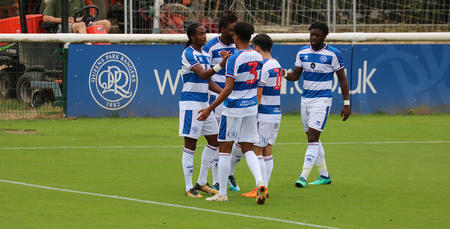 In a game of few clear-cut chances, the game was decided by a powerful header from the R’s centre-back just before the break. In front of more than 1,500 delighted travelling R’s fans, the wait was finally over. Steve McClaren made one change from the side that beat Middlesbrough at Loftus Road last weekend, with Josh Scowen coming in for the injured Joel Lynch, who was forced off against Boro with a dead leg. As part of the enforced reshuffle, Darnell Furlong moved to centre-back with Jordan Cousins coming in at right back and Scowen partnering Mass Luongo in midfield. It meant Joe Lumley lined up between the sticks behind a back four, from left to right, of Jake Bidwell, Toni Leistner, Furlong and Cousins. Luongo and Scowen sat in front of them, while Luke Freeman, Ebere Eze and Pawel Wszolek took up their usual positions behind the in-form Nahki Wells. The R’s went into this match looking to build on their impressive win against Middlesbrough while also hoping to end their run of winless game at the City Ground which dates back to the first fixture here between these two sides in 1934. After an opening quarter of an hour where both sides were looking to settle in the game, the first opportunity of the match fell to Adlene Guedioura who took aim from the edge of the box but his low effort whizzed just wide of Lumley’s far post. At the other end of the pitch Freeman’s corner from the left found Leistner at the far post but his low header was comfortably gathered by home keeper Costel Pantilimon. Shortly before the half-hour mark Joe Lolley shot wide from distance but chances for either team remained very scarce. But on the stroke of half-time Rangers took the lead through their skipper. Freeman floated a free-kick from the right and Leistner rose highest to power his header beyond Pantilimon and put QPR ahead going into the break. In truth, it was a largely uneventful first half but when the opportunity presented itself, the Big Friendly German made no mistake from eight yards. After the break Bidwell saw his looping header drift over the bar from another Freeman freekick as QPR began the second period well. As the game wore on the hosts, as you would expect, started to commit players forward. Substitute Daryl Murphy broke down the right and stood up a brilliant centre for Lewis Grabban but as the Championship’s top scorer looked to head home, Cousins was there to apply pressure and prevent the Forest striker from netting the leveller. 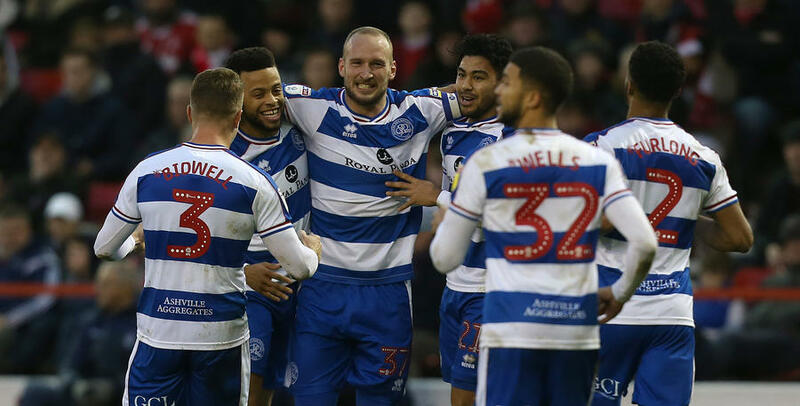 Eze pounced on a miss-placed pass with 15 minutes remaining and raced clear but was eventually crowded out by three Forest players as QPR settled into their positions and looked to hit the hosts on the break as they pushed more and more men forward. Tendayi Darikwa then went close for the home side when he found space on the right but his shot from 16 yards flew wide of Lumley’s post. With five minutes remaining, McClaren made his first change of the afternoon as he brought on the physical presence of Matt Smith for Wells. And that was shortly followed by his second as Eze was brought off for Grant Hall. In injury time, Rangers were grateful to Lumley for pulling off a stunning save to tip Guedioura’s incredible 30-yard drive onto the crossbar. It was an incredible shot, matched by an equally-good save by the young QPR keeper. The R’s backline had to endure incredible late pressure but they stood firm to ensure the winless run at the City Ground was over. 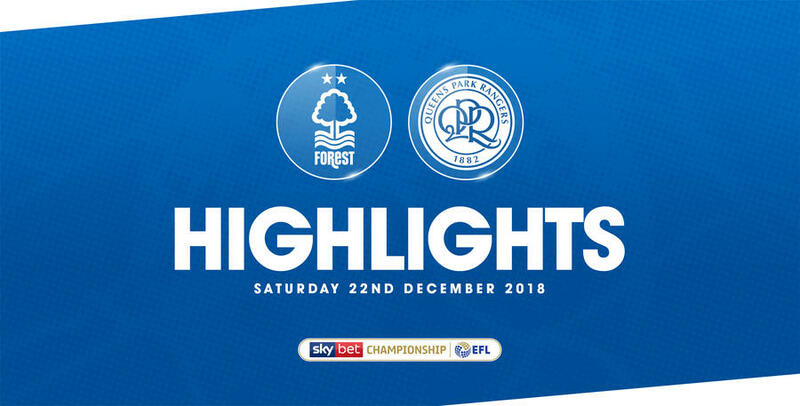 WATCH highlights from QPR's historic and long-awaited win over Nottingham Forest at the City Ground on Saturday afternoon.